Personal Tarot Reader & Astrologer, Offering You an Original, Intuitive Experience with the Insight to get you through. To get a free tarot reading, visit here! Perhaps through a gift or inheritance, or possibly through your own business acumen, you are on a path leading towards financial and material security – but it requires prudence and conservatism. This person will come to your aid in some financial matter to support your growth, most likely with advice on how to better manage your money. Expect a feminine influence in your life to give you practical advice. Most likely, you will find the events foretold to be positive, but, being aspects of good luck, they may also be beyond your control and influence. Approach your situation with flexibility, and you will be fine. To get a free tarot reading, visit here! He signals important decisions ahead which may not be easy to make, and involve an element of risk for you. To get a free tarot reading, visit here! Beware. There will be arguments with someone who effects you deeply, and there may be a new enemy in sight who is just beginning to initiate a plan to hurt or take something/someone from you. Maybe you are the enemy about to hurt someone? Your may have suffered injury to your pride or self-esteem, but the Five of Swords is also a warning of a potential to get caught in the cycle. You almost certainly have great reserves of courage, and the perseverance to face your challenges and see yourself through difficult times. It is not certain where the conflicts will arise, but they are probably significant, and you have the power to overcome them all. It is suggestive of personal gain, success, and that personal goals and joy are within reach, if you are willing to invest the effort to actualize them. If you are embarking on a new personal venture, such as marriage or beginning a family, the Sun is of particular influence. Your road does not lead to failure, as long as you do not give up on it. This may mean your prosperity will arise from your investment in others, perhaps giving a financial investment, or maybe advice and support for a friend. This card can also mean the reverse, that your success will arise from the generosity of someone else. There is a promotion or bonus ahead for you. To get a free tarot reading, visit here! Some things in life are beyond your control, and the Eight of Swords is a symbol of imprisonment and suggests that you are being actively held back by some of them. It’s a catch-22: a difficult situation from which there is no escape because of mutually conflicting conditions. In any case, you are likely facing restriction and hesitation at every turn, and may being experiencing rising frustration and anxiety. The solution begins with the only thing that you can control. You. Approach this situation with patience, and be ready to move when the situation changes. See through a false impression or some illusion that has been projected to throw you off course or to misjudge someone. Done innocently or deliberately, you can dispel that false impression and work your way right through it. You could even do this without challenging or confronting anyone directly, thus saving yourself the trauma of a showdown. Go slow when making any decisions that affect others. Tastes, smells, and all things tactile may preoccupy you today and distract you from thinking clearly about whatever is in front of you. It could be hard to refrain from unconscious flirting or making comments that are easily taken the wrong way. Be aware of your actions and do what you can to not offend nor attract people whom you’d rather avoid. To get a free tarot reading, visit here! Be calm, proactive, and don’t exhaust yourself with endless fear. Any number of things might backfire or go wrong today, just like any other day, and there is little if anything extraordinary to be fearful about now. Your basic sense of insecurity may be higher than normal today, but this will pass soon. Take heart and be your normal brave self. To get a free tarot reading, visit here! From an early age, I have considered myself to be a Genuine Intuit ~ that is, I have been blessed with strong intuitive abilities. This blog has been created due to the interest & love I have for astrology and the tarot. 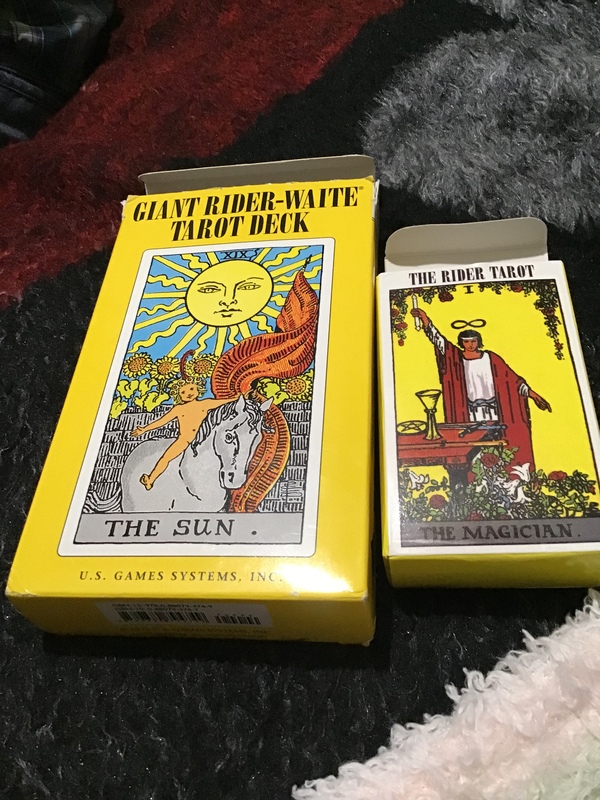 I interpret birth charts & preform tarot card readings, always using the well-known Rider-Waite Deck, as well as my own intuition, to help guide us to a better understanding of what the cards would like us to know. Get in touch anytime, really, anytime is fine. I'd be honored to meet all who have come to read the blog, and I thank you in advance for your time & support! For those of you who are interested in how I conduct a session & what to expect, please use the Contact Page to get in touch.